Quincy is a lovely village in the centrally situated Cher département of France. 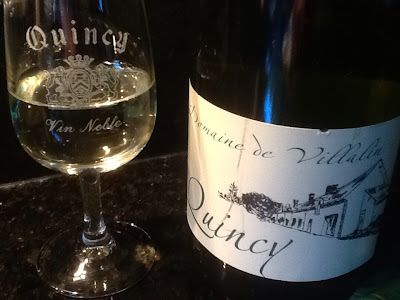 Some friends from the village stayed with us a while back and brought us some of their local wines including this one from the Domaine de Villalin, vendangé à la main by the wine making couple Maryline and Jean-Jacques SMITH. We thought to put the wine away but then there were those rather nice accompanying glasses. All of that led to a little opening ceremony for the vin noble. 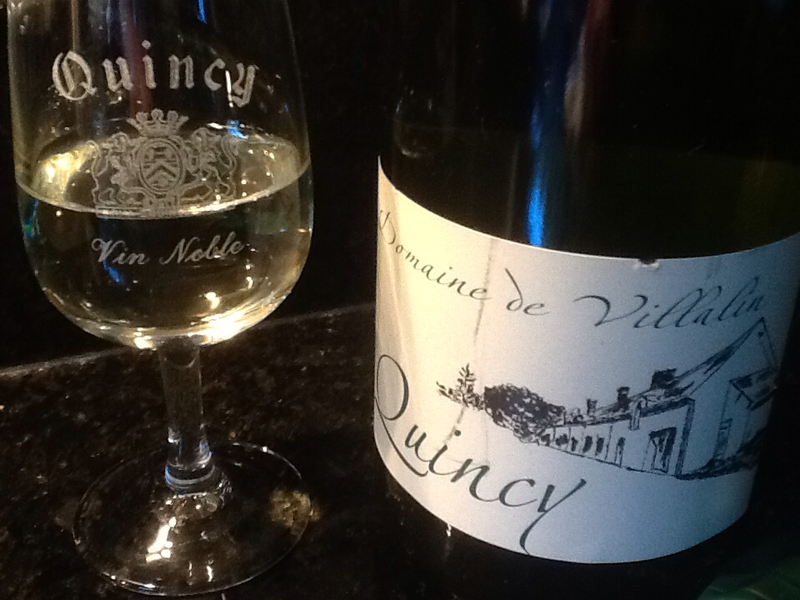 Transported back to the Région Centre, to Villalin and Quincy, we thought of distant friends and the gift of their terroir.